Always has and always will be MADE IN THE U.S.A. Holds 8 cans inside (with ice!) and 4 cans in the numbered drink holders. Built in Eyelet or hook makes tying to your tube, kayak or boat easy! Made from Super-Tough, No-Puncture, High Density Plastic using recycled material. $15 per item Flat Rate Shipping in the mainland U.S. via Fed Ex Ground. 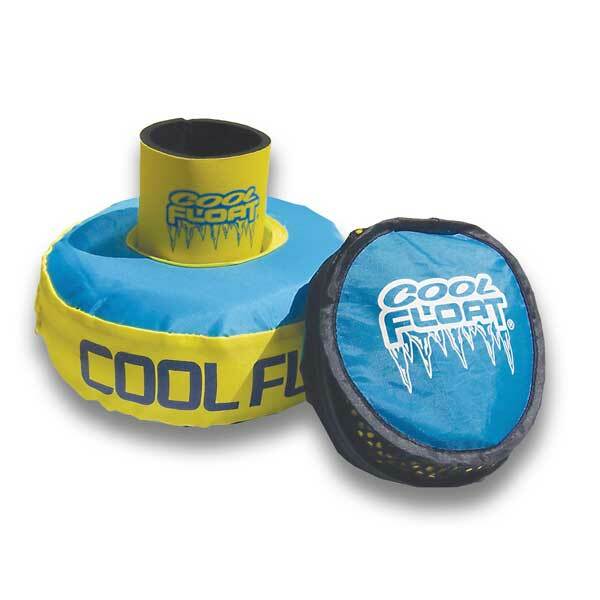 Great for hangin’ out at the pool or in the jacuzzi. 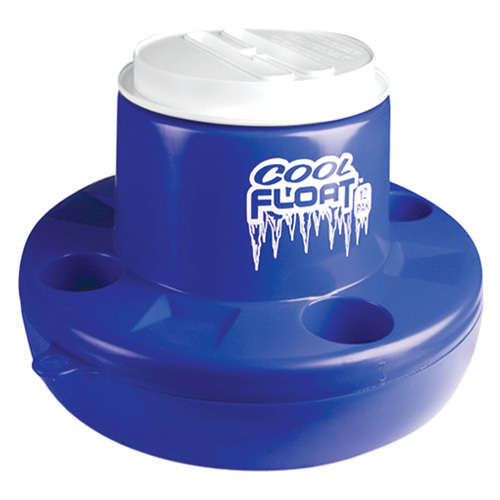 Our small, 12-Pack, Cool Float Floating Cooler measures 19″ in diameter and is 9″ high. It holds 8 cans inside (with ice!) and 4 cans in the numbered drink holders. It also has a hook on one side to easily be tied to your tube, kayak or boat. 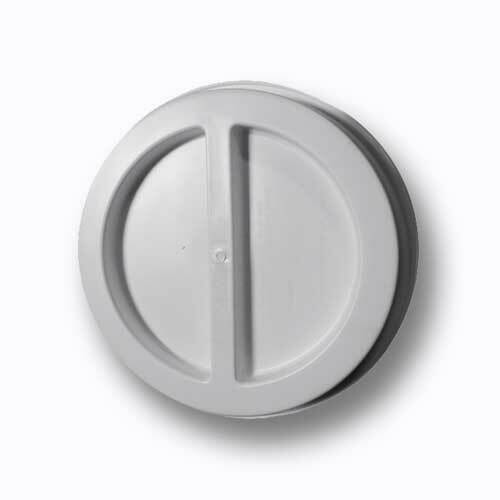 Made from Super-Tough, No-Puncture, High Density Plastic. We love our rivers, lakes and oceans clean so we also use recycled material in the construction. 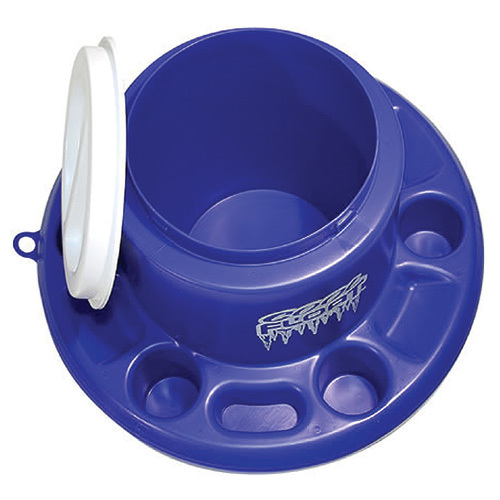 Fill with your favorite drinks, ice and lock the lid with a 1/4 turn to keep ’em cold.